Pastors and Leaders: Do you take the time to develop yourselves and/or others? Many of us have heard of or even read John Maxwell’s Developing the Leader Within You and Developing the Leaders Around You. If you’re like me, you could read a lot of books in a year and forget what you read. Some of it will stick with me, but have I really taken the time to apply it? There are so many ways to develop and mentor ourselves and others, but if we get discouraged by the things that say it isn’t possible for us, we miss them. As a staff pastor for nine years before becoming a senior pastor, I have served under those who made it a priority to include development and those who haven’t. I know the power of being developed. I also know that there are issues that keep us from including development in our ministry. Let’s be honest, most of us just plain do not have the money to buy plane tickets, event tickets, hotel and car rental costs, just to see the biggest names in church ministry and leadership. While many travel to various parts of North America during the year, the odds of them arriving with 2 hours of your office are slim. And, you know what? They have their own churches to worry about, so don’t blame them for it. However, many of these same leaders are showing up on free online seminars (or webinars). You won’t get to see all of your favorites, but you may get to see some. Take advantage of these opportunities. How can you hear about these? Just sign up for some e-newsletters. I have one inbox that I reserve for these, and I get around 50 each week. I confess, I don’t read all of them all the way through. But I read every headline, keeping my eyes open for these opportunities. Don’t let cost be a factor. Be creative. And don’t forget that many of the conferences we wish we could get to also come out on DVD. If you’re patient and dig far enough, you might even find that sets from 2 or 3 years ago are marked down now. Take a few minutes and look for a bargain. A DVD set for $100-200 may be a stretch, but it’s a lot cheaper than travelling, and can provide training for you and your team for as long as a year. Finally, there are some groups that give stuff away, and all you have to do is go get it. A great example of this is OPEN from LifeChurch.tv. Everything they produce they either share or recreate to share, and they give it away. Another great place to find free stuff is iTunes. Leaders like Andy Stanley and others give away teachings for leaders and pastors. They are always adding more, so it is fresh and relevant. Is your schedule full? Are you a stickler for keeping every segment of ministry in its place every week? Maybe you work full-time or part-time in addition to ministry. How can you possibly fit development into your schedule? The answer here is to be purposeful in making time for development. Set apart one Sunday night or afternoon a month to develop your leaders. Choose a book to have everyone read over a time of 2 – 4 weeks and schedule one meeting to go over notes and choose the next one. Create a new service. Schedule 30 minutes a day for development reading. Whatever your goal is, schedule it. Whether it is for you personally or for your team, be diligent in making it a priority. Some of us do not train the leaders around us because they require development in an area that we do not have expertise. 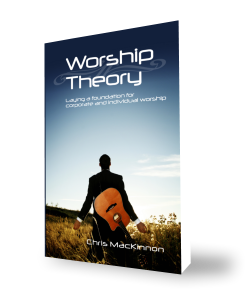 Not everyone knows how to encourage and train a worship team. Many pastors don’t know how to grow or cultivate a program geared to youth or kids or young adults or nursing homes. Thankfully, the resource development teams are helping us out here. Not only are there books to read about each type of ministry in our church, we are starting to see seminars, webinars, DVDs and other tools for these ministries that we don’t have a clue about. I already mentioned OPEN. OPEN has resources for many of these ministries. Development is not just for pastors and deacons and adult teachers, it is for everyone. There are materials for you to go through with your team so that you can grow with them, but will also be relevant to their area of ministry. Ignorance may be bliss because you don’t have to worry about time or money or some other issue that could keep you from including development in your ministry. But can we really afford to miss out? What if one book, one DVD, one mp3 that could turn your ministry upside down, give it new life, encourage you, or even inspire you to keep from quitting? It could be the turning point in who you are, what you do, who you work for, who you hire, or how to go about the business you’re Father created you to do.